Misdemeanors are very common in the state (and the rest of the country as well). Some of the most common misdemeanors include petty theft, trespassing, disorderly conduct, speeding, parking in a reserved-for-the-handicapped space, driving past Stop signs, driving under the influence of alcohol (DUI), vandalism, assault, public fighting, battery, and a type of drug abuse (possession of drug paraphernalia). Penalties for misdemeanors include at the most a year in the local jail, as well as fines of up to $1,000, depending on the crime committed. Compared to felonies, there are no lengthy prison sentences involved and you do not stand to lose as much in fines either. If you are facing misdemeanor charges in the state of Ohio, then you need to understand how state law views the crime you have been accused of committing. Misdemeanors are relatively minor crimes, so the penalties assigned are not harsh (relatively). Misdemeanors are categorized into 5 levels, from the least serious (minor misdemeanors) to the most serious (1st degree misdemeanors). Here is a brief guide to the common misdemeanor crimes committed in the state, followed by the penalties you will have to face if you are convicted. Minor misdemeanors are very common, like speeding and going through red lights. Parking in a handicapped space is also considered a minor misdemeanor. If you are convicted of a minor misdemeanor, there will be no confinement in jail. You may, however, have to pay a fine of up to $150. If you are convicted of a 4th degree misdemeanor, you may have to spend up to 30 days in the local jail, and pay fines of up to $250. If you are convicted of a 3rd degree misdemeanor, you may have to spend up to 60 days in jail, and pay fines of up to $500. If you are convicted of a second degree misdemeanor, you will have to spend up to 90 days in jail, and pay fines of up to $750. Finally, for a 1st degree misdemeanor, you will have to spend up to 180 days in jail and pay fines of up to $1,000. Note that, unlike felonies, if convicted, you will always be incarcerated in a local jail, and not the state prison. In addition to this, the judge may assign you additional penalties or assign different penalties as alternative punishment. These penalties include probation, house arrest with monitoring, parole, community service, terms in halfway houses, and weekend imprisonment. Your privileges, like a professional license or driving license, may be revoked. You may be barred from taking public office or removed if you are already occupying such a position. In some cases, the judge may ask you to undertake counseling or seek treatment for a problem. In the state of Ohio, if you knowingly and intentionally deprive a person of a property or a service, and obtain or exert control over the property or the service, you are guilty of having committed theft. In Ohio, if you, without securing permission, knowingly enter or remain on the property belonging to another person or entity, you are guilty of criminal trespass. You cannot defend your actions by saying you were unaware that you were trespassing, as long as there was some noticeable deterrent like a “no trespass” sign or fencing around the property. Criminal trespass may be committed on a private property or on a place of public amusement. If you are accused of trespassing on private property, it will be considered to be a misdemeanor of the 4th degree. Possession of drug paraphernalia is a very common misdemeanor charge in Ohio. Many people get into trouble with the law because they had drug paraphernalia like a hypodermic needle lying around in their car. Drug paraphernalia is any equipment, product, or material that can be used or is intended for use to ingest a controlled substance (drugs like marijuana) in the body. Possession of drug paraphernalia is a minor misdemeanor as long as you have not passed on the paraphernalia to someone else, but may become a major misdemeanor if you sold the paraphernalia, especially to juveniles. The law against disorderly conduct was introduced to uphold public peace. At times, the police are known to be overzealous in its application. Inciting to violence (encouraging a person to commit a violent act) and failure to disperse (not heeding the law enforcement officials when they tell you to move away from a location) are other offenses against the public peace. Inciting to violence is a 1st degree misdemeanor (may sometimes be considered a felony), while failure to disperse is charged as a 4th degree misdemeanor. Damaging property, whether it involves arson, criminal mischief, or vandalism is a serious offense in the state of Ohio. You may be charged with criminal mischief if you knowingly damage, deface, or tamper with a property that belongs to another person. You will be charged with criminal mischief if you deploy a stink bomb, gas device, smoke generator, tamper with boundary markers or survey markers and impair the functioning of a computer or network, or set fire to a property. All of this must be done without the owner’s knowledge and/or consent. Depending on the case, it may be classified as a 3rd degree misdemeanor or a 1st degree misdemeanor. You may be charged with arson if you are responsible for creating a substantial risk to the property of another. This has to be done without their consent or permission, or with the intention to defraud. You will also be charged with arson if you create a substantial risk to a school, public building, park, a preserve, a forest, or a similar property. If you are suspected of harming a person, you may be charged with a felony offense. In Ohio, DUI is commonly known as OVI. Drinking and driving can be a major offense in the state, especially if someone was harmed by the vehicle when the crime was committed. OVIs are classified into some categories, the main being OVI Impaired and OVI Per Se. First OVI is when you are considered to be driving under the influence of alcohol or a controlled substance, when your BAC is over the Ohio legal limit of .08%. It is considered to be a misdemeanor of the 1st degree in Ohio. Second OVI is when you were convicted before within a period of 6 years and when you are caught driving under the influence of alcohol or drugs again. It is generally also considered to be a misdemeanor of the 1st degree. Third OVI is when you have 2 prior convictions, instead of the 1 in second OVI. It is considered to be a misdemeanor as well. Assault may be charged as a misdemeanor or a felony. Simple assault cases, where no one was seriously injured or when someone was unintentionally harmed by a reckless action, are generally treated as misdemeanors. Even so, assault is considered to be a serious crime and even simple assault cases are charged as 1st degree misdemeanors. Negligent assault is another type of assault that is a misdemeanor. As the name suggests, negligent assault is caused by negligence. The assaulter does not intend harm, but is responsible for it by not taking adequate steps to prevent the harm from occurring. Negligent assault is a 3rd degree misdemeanor. A criminal record, even a record of misdemeanors, will impact your life adversely. You may find it difficult to find suitable employment in the future and your freedom might be severely restricted. But there is no reason to despair, you can get your record expunged. In Ohio, your criminal record is accessible to the public and it is very likely that a potential employer will find it and think twice before hiring you. It is possible to seal away this record, so that it is inaccessible to the general public. The process is called as Expungement. If you have been charged with any of the above misdemeanor offenses, it is important to hire a criminal defense attorney so that you know your options and to help you come up with the best possible defense for your case. 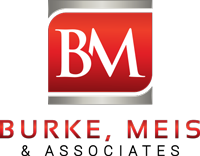 Contact Attorney Adam Burke of Burke, Meis & Associates now for your free consultation at (614) 280-9122.